The Minnesota Vikings played host to the New Orleans Saints in the season opener of Monday Night Football, and they dominated throughout. Sam Bradford was sharp, Dalvin Cook was as good as advertised, and the Vikings defense came to play in the team’s victory against the New Orleans Saints on Monday night football. Minnesota kicked off their 2017 NFL season in style in primetime on Monday night, beating Drew Brees and the Saints by the score of. Bradford picked apart a young Saints defense all night, proving that his solid preseason was just a prelude to what could be a special season. Everybody knew coming in that the Vikings defense would be great, and they showed that to be true on Monday night. The Vikings held the Saints to only field goals for most of the game, as the Saints did find the end zone late with the game out of hand. The defense proved to be too much for a Saints offense that could not make the big play all game. New running back Adrian Peterson looked frustrated throughout for New Orleans, who now head home to face the New England Patriots. For the Vikings, this could just be the start of something big this season, though they became the third NFC North team to win in Week 1. That is going to be one of the more fun divisions to watch this season, and Minnesota likely has the best defense. Minnesota has a tough game as well in Week 2, as they have to travel to Pittsburgh to take on the Steelers. Pittsburgh looked very beatable in their three-point win against the Cleveland Browns in Week 1, and you have to think this defense is going to be ready to play against the Killer B’s. The Saints play in a tough division as well, so it will be interesting to see what affect this loss as later in the year. The veteran quarterback looked very good this preseason, and he carried that into the regular season in this one. Bradford threw for nearly 350 yards and three touchdowns, attacking the Saints defense down field. If he makes the kind of throws he made on Monday night all season long, this Vikings team is going to be tough to deal with. We knew the rookie was going to be good, but his debut on Monday night was record-breaking. Cook broke Adrian Peterson’s rookie rushing record in a season opener by 20 yards, as his 127 yards on the ground is now the gold standard in Minnesota. He has some big shoes to fill in replacing Peterson, but he made the fans forget about AD for at least one night against the Saints. The wide receiver for the Vikings went off early on Monday night, hauling in two first half touchdown passes. He played with such energy against the Saints, and really got the crowd going early on opening night. 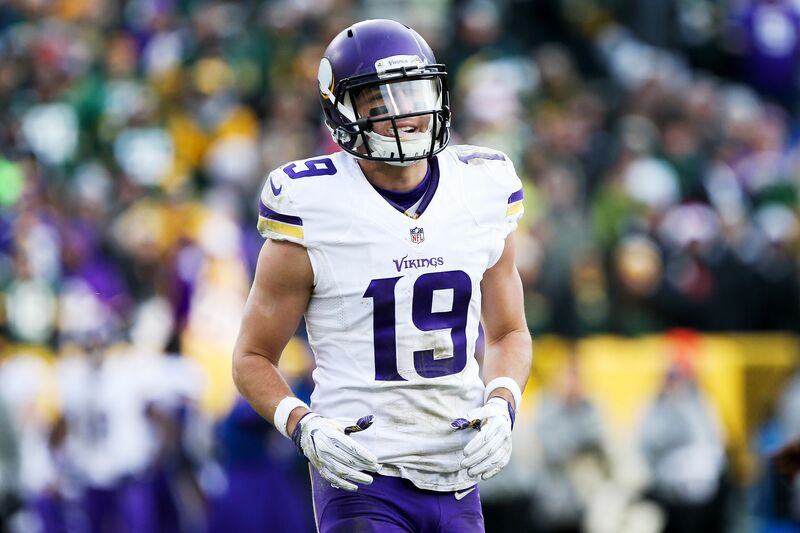 Fellow wideout Adam Thielen also had a big game against New Orleans, as the Vikings proved to be lights out in the passing game in this one. Minnesota was favored by 3.5 points and covered the spread, winning by 10 points. For all your betting needs, check out SportsBook Review. The Saints will be opening their home slate against the New England Patriots while the Vikings hit the road for a date with the Pittsburgh Steelers.